One of my favorite things about flying is before you ever step foot on a plane. I’m talking about the exclusive airport lounges that offer special amenities that make the travel experience so special. On Free App Friday, we’re going to show you how to have a better airport experience using the app LoungeBuddy. TSA PreCheck vs. Global Entry vs. CLEAR: Which is right for you? Why should I install LoungeBuddy? The next time you travel through an airport, here’s how to have a better airport experience. Instead of sitting in the uncomfortable chairs next to your gate for (what seems like) an eternity, use an app like LoungeBuddy to access the airport lounge. In airport lounges, you’ll find free wifi, comfortable seating, plenty of places to charge your electronics, and a bunch of amenities to spoil yourself with. Comfortable seating at Singapore Changi’s Dnata Lounge. Not every lounge will have every amenity, which is why I rely on LoungeBuddy for reviews and features of lounges so that I can set expectations before I arrive or pick among several options at larger airports. LoungeBuddy is an airport lounge booking service that helps you have a better airport experience. It is accessed via the LoungeBuddy website or iTunes app. Normally these airport lounges are reserved for the rich & famous, people with elite status, or people that have purchased a Business or First Class ticket. However, you can also access many of these airport lounges with a day pass from LoungeBuddy for a nominal fee. Keep in mind that LoungeBuddy doesn’t actually own or operate any of these ~300 airport lounges. And what is really cool, in many cases, you don’t need elite status with an airline or even be flying that particular airline to have access to their lounge! If you use TripIt (like me) or Concur from work, you can sync your accounts to LoungeBuddy so that flight data can help LoungeBuddy determine the lounges you can access. This will help LoungeBuddy tell you which airport lounges you have access to for free or a one-time fee. For some lounges, you can buy access directly from the LoungeBuddy app and pay for it with your credit card or credits you’ve purchased. And LoungeBuddy gift cards are available in denominations ranging from $25 to $250. I’ve been really happy with LoungeBuddy over the years, and I believe it is the best airport lounge app. I’ve been using LoungeBuddy for years and it is one of the few travel apps I use every time I fly. It is especially useful when I’m visiting a new airport and don’t know which lounges I have access to. Within the LoungeBuddy Lounge Access Wizard, you can share details about your trip, including which airports you’ll depart and arrive, which airlines you’ll be flying, and what class of service you’re ticketed for. The app is completely free and requires only 58.5 MB of storage space. It is rated 4.1 out of 5 stars on iTunes as of December 2017. Click here to download LoungeBuddy from iTunes. 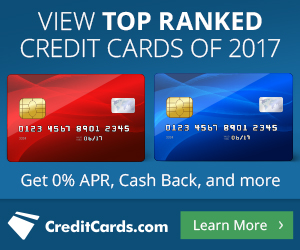 A lot of people use Priority Pass because its membership is a benefit of most of the premium credit cards, like the American Express Platinum and Citi Prestige cards. When comparing LoungeBuddy vs Priority Pass, it’s not an either-or situation. Because you have a Priority Pass membership, you let LoungeBuddy know and the app will signify which lounges you have access to courtesy of Priority Pass. LoungeBuddy showing access to LAX KAL Lounge thanks to American Express Platinum or Priority Pass membership. LoungeBuddy is a more complete app because it will also let you know which lounges you have access to thanks to your airline status, credit cards, AND Priority Pass membership. If you don’t have a free Priority Pass membership from one of your credit cards, consider reviewing the latest offers in our credit card marketplace to find your next card or click here to sign up for a paid Priority Pass membership and receive a 10% discount. LoungeBuddy keeps track of over 2000 lounges at over 800 airports across the globe. When I know I’ll be flying through a specific airport on an upcoming trip, the first thing I do is look to see which lounges I’ll have access to before departure or after arrival from my flights. Yes, you can visit airport lounges after you land… but before you leave security! For a list of all LoungeBuddy locations, look in the app or go to this page on the LoungeBuddy website. If you want to buy access to an airport lounge, there are literally 100s of airports where you can use LoungeBuddy to access airport lounges. And we have a promo code (see below) that will help you save $10 off your next airport lounge day pass! Admittedly, I’ve never purchased airport lounge access through LoungeBuddy, instead, I’ve relied upon airport lounge access available through my American Express Platinum card and Priority Pass membership received through premium credit cards. After you’ve downloaded LoungeBuddy, load our referral code into the payments section to receive a LoungeBuddy coupon credit for $10 towards a future purchase of a lounge pass. You never know when you’ll need to purchase lounge access for yourself, a family member, or a friend, so load our referral code of “J9ejAa2XGg” (case sensitive) into LoungeBuddy right away. We’ll both get $10 credit when you use our referral code. Before your next flight, be sure to download LoungeBuddy. With a quick selection of your credit cards (you don’t provide any credit card numbers), airline status, and other lounge memberships, you’ll be presented with a list of the lounges at the airport, which ones you have access to, and written reviews & pictures from travelers who have been there before you. This is truly how to have a better airport experience! Thanks for reading my LoungeBuddy review. I use Lounge Buddy – it’s important to load your current flight into it also – I just flew back from FRA-LHR-LAX-SLC and was business and higher. By putting that data in, it was clear which lounges I could use in Heathrow, for example – the Cathay Pacific Business Lounge and the Quantas Lounge. The Priority Pass app only lists those possible clubs with the card; LB actually gives you more info. Both are useful, of course! Thanks for sharing your experience and reminder to enter your flight plans. I linked TripIt so my flights are automatically imported. I agree. Both LoungeBuddy and Priority Pass apps are useful, but LoungeBuddy covers more lounges because it also includes lounges that aren’t part of Priority Pass, like Amex Centurion and AA Admirals Club. Sorry about that. They changed my referral code. Try this one – D7jFVhCkE3. Let me know if that works for you! What happened to loungebuddy?! It was my favorite app but when I went to load it onto my new phone it said that app is now “priority pass!” Nooooo. Thanks for the kind words, Fabb. It seems they’ve updated my referral code. I edited the article, but here it is – J9ejAa2XGg – if you want to give it a try.